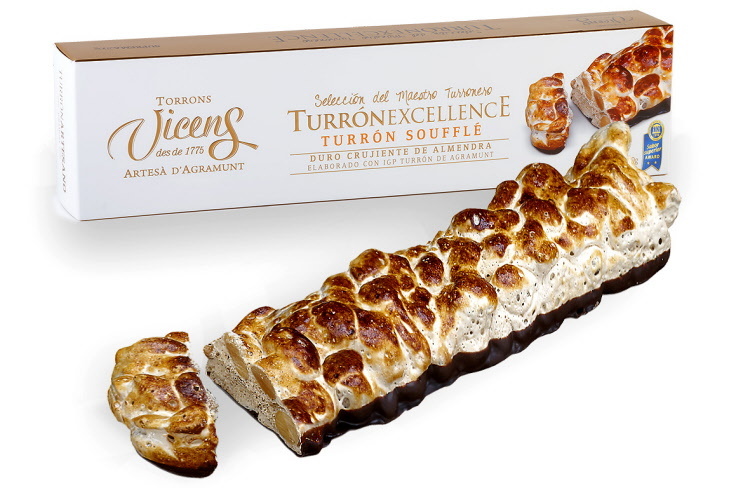 Innovating with new textures, Vicens Torrons introduces a line of Hard Crunchy SoufflÃ© Nougat made with Agramunt Nougat and Marcona Almonds. The nougat is whipped to incorporate air making its texture much more light and crisp therefore, is ideal for all ages. A luscious chocolate back make this nougat an indulgence.